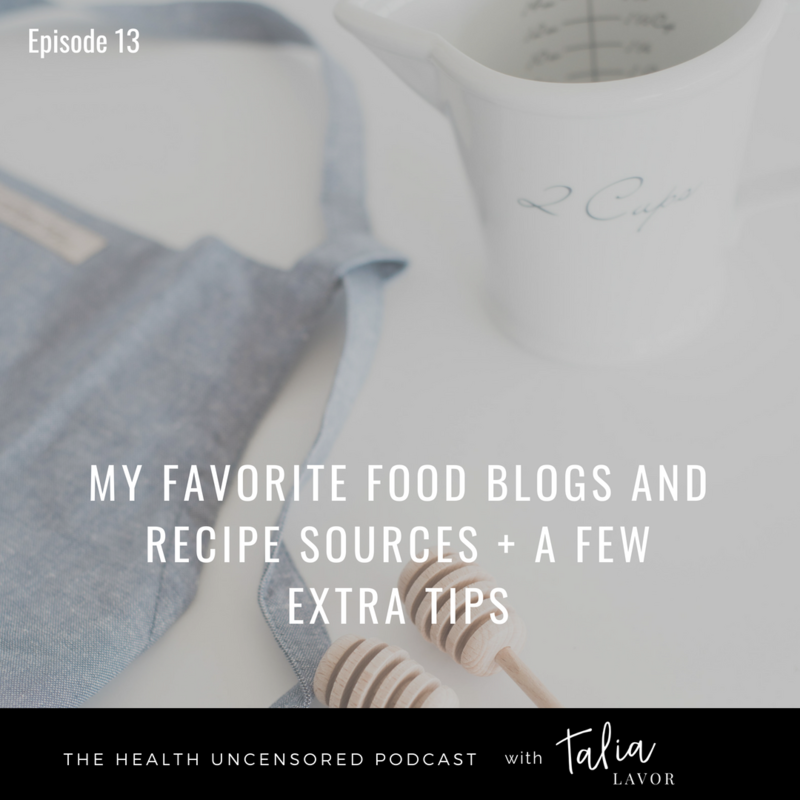 In this episode, I give you some tips and tricks to making recipe hunting and gathering work for you, and introduce you to my virtual food besties (even though I don’t actually know them personally…yet). I talk about a few of my favorite resources in more depth and then list more consistently awesome sites. If you’d like to get your hands on these links in all in one place, head over to my private (and of course FREE) Facebook Group, #healthhacker. I’ll have the list in the files tab as well as in the feed. A few days ago one of my best friends reached out to me and asked me what my go-to food blogs were. I instantly knew this would be a topic I could talk for hours about and one that is requested frequently. So I hopped on the mic to deliver my favorite recipe creators in all the land. I talk about a few of my favorite resources in more depth and then list more consistently awesome sites. If you’d like to get your hands on these links all in one place, head over to my private (and of course FREE) Facebook Group, #healthhacker. I’ll have the list in the files tab as well as in the feed. When you listen and love today’s episode, please hit the ‘like’ and ‘subscribe’ button. You can also leave a glowing:) review or leave me a voicemail!